Yes, yes. 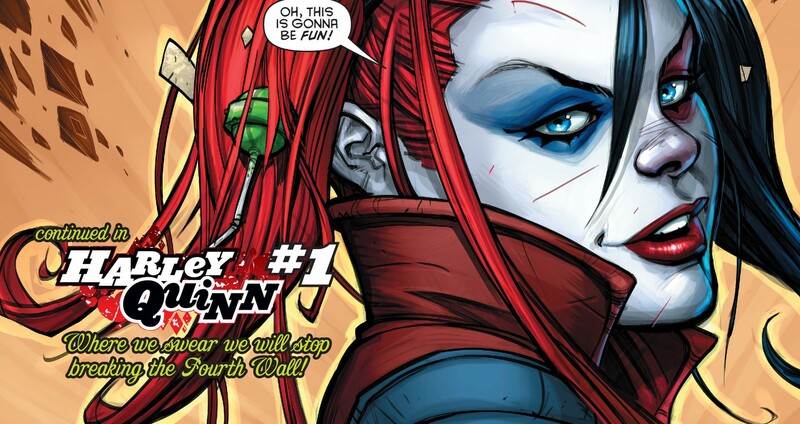 I know Harley Quinn #0 released last week, but I read it almost immediately with the intention of writing about it that night, but something happened that normally doesn’t. As I sat and thought about what I had just read, I found that I couldn’t quite figure out how I felt about the issue. So, I let it sit in my brain until it could poop out some sort of opinion. Do I love it? Do I hate it? Well, my brain finally told me what’s what. I can’t really say that there will be spoilers, but only because there isn’t much of a story. That’s my biggest problem with it. Remember that old episode of Looney Tunes where Daffy is essentially fighting with the animators. The unseen animator keeps doing things to harm or disgrace Daffy, and he’s clearly not enjoying it in any way. At the end, it is revealed that the original “wascally wabbit” himself, Bugs Bunny, is the one in charge of the animator’s drawing tools. Well, this issue takes a similar approach. Harley enters a dream sequence, and each page of the dream sequence is pencilled by a different artist. She speaks directly to the writers (Amanda Conner and Jimmy Palmiotti) throughout the process, but not really in a story-driven sense. 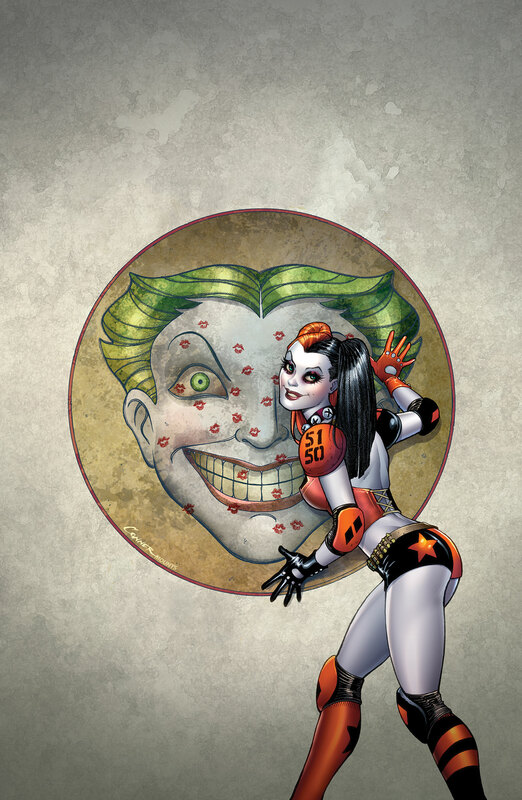 The entire issue is Harley trying on different art styles to find the perfect artist for her new solo comic series. And that’s honestly where I start having problems. I’ve got nothing against breaking the 4th wall (I’m a Deadpool fan, or that’s out the window), but there’s something about this issue that just sticks in my craw. Maybe it’s the fact that the entire issue is a glorified roast of the cavalcade of artists included (Harley pokes fun at Adam Hughes for not turning pages in on time and Art Baltazar’s simple, childish style). Maybe it’s the fact that I’ve never been a big Harley fan and don’t think she’ll be able to support her own title in the New 52. Maybe it’s the fact that I took a chance on the issue, assuming I’d see a solid preview of her upcoming solo series and instead got an issue full or jackassery and wraps up by promising the issues to come would be NOTHING like the issue I just spent my money on in good faith. Regardless, I feel like this is one of those series that had me way before I read it and lost me with one issue (like Batman ’66). A promise that what’s to come is NOTHING like what you just spent your money on. In all, it’s an interesting concept that begot a boring product, one that I can’t foresee myself taking part in again. Sorry, DC, but this one’s just not for me.